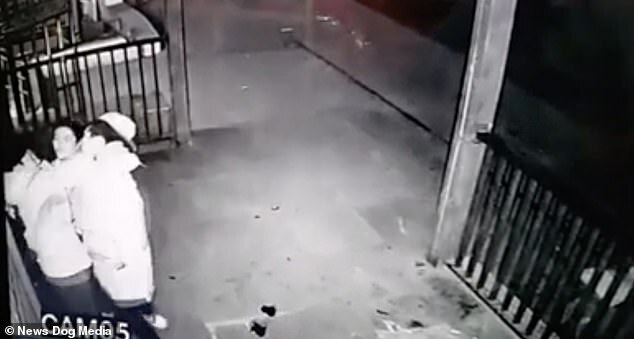 This is the shocking moment a man was punched three times in the face when he was caught harassing a woman in a doorway. 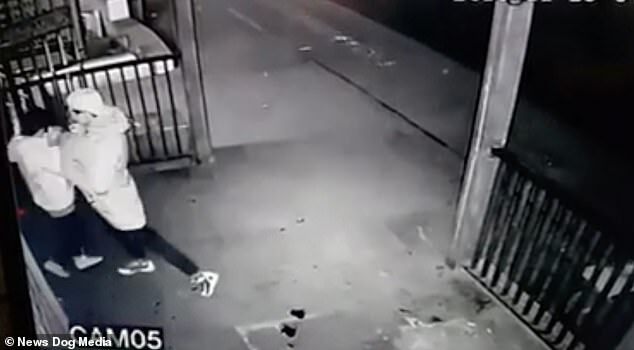 The CCTV footage, filmed in an unknown location, captured the man as he shoved a woman against a wall during an argument. She attempted to reason with him throughout the row – but her assailant just pummeled her with his elbow. 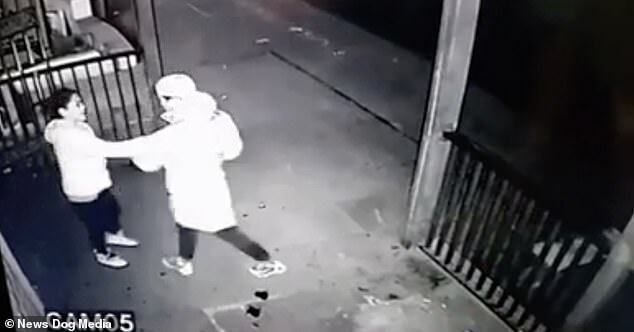 The woman then pushed him back, the man pointing in her face moments before a door opened behind her and a second man appeared. It appeared he heard the commotion outside and had exited the building to intervene. But the aggressor, wearing a white cap, lunged at the newcomer, the woman being caught momentarily between the brawling pair. The assailant wrestled with him and grabbed him by the neck – the woman desperately attempting to part them. 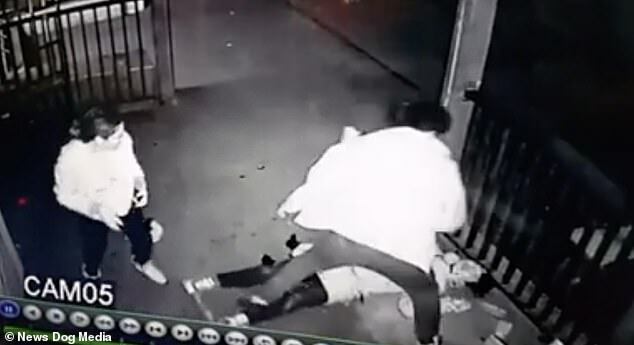 But second man fought back immediately, punching the aggressor three times in the face and knocking him to the ground. The video, which took place at just after 4.43am on Friday, was posted to social media yesterday though it is unknown where it took place. Viewers have since applauded the man’s intervention.